James Carey and Morris Carey, known as the Carey Bros., are nationally-recognized experts on home building and renovation. They share their 70+ years of experience as award-winning, licensed contractors with millions of people nationwide through a weekly radio program and syndicated newspaper column both titled On The House. With wit, enthusiasm and clarity, the Carey Bros.’ syndicated newspaper column, four-hour radio broadcast, podcast, blog, and daily radio vignette offer people money-saving tips on building, remodeling and repairing homes. These third-generation contractors hold 28-year broadcast careers in radio and television. They deliver user-friendly, hands-on advice in their radio program and daily radio tip which are carried coast-to-coast weekly via satellite to a rapidly growing network of more than 200 stations. The program is also broadcasted via live remote from home and building expos nationwide. Beyond radio and print, the Careys have a rich and colorful history in television. Clad in their signature bright-colored bib overalls, they have appeared as the home improvement editors on CBS News Saturday Morning; as home improvement family members on the popular Hallmark Channel’s Home & Family TV Show; and have appeared as guests on various national and local television programs. Besides their syndicated column, the Carey Bros. have authored four “how-to” books, Cost-Effective Home Upgrades published by Ortho Books (1992); Home Remodeling For Dummies published by IDG Books Worldwide (1998); Home Maintenance For Dummies 1st Edition also published by IDG Books Worldwide (2000), andHome Maintenance For Dummies 2nd Edition published by Wiley Publishing, Inc. (2009), and Home Improvement-All-In-One For Dummies published by Wiley Publishing, Inc. (2004). The Carey Bros. also write a regular monthly column for The Family Handyman, a Reader’s Digest home improvement magazine. Morris and James also host a highly-trafficked and information-packed website, onthehouse.com, which acts as a convergence of all of their home improvement advice, tips and information. Their web content and podcast may also be accessed through their popular App for smart phones and tablets. In addition to their media enterprise, Morris and James own and operate a successful home remodeling and construction firm in the San Francisco Bay Area — www.careybros.com. 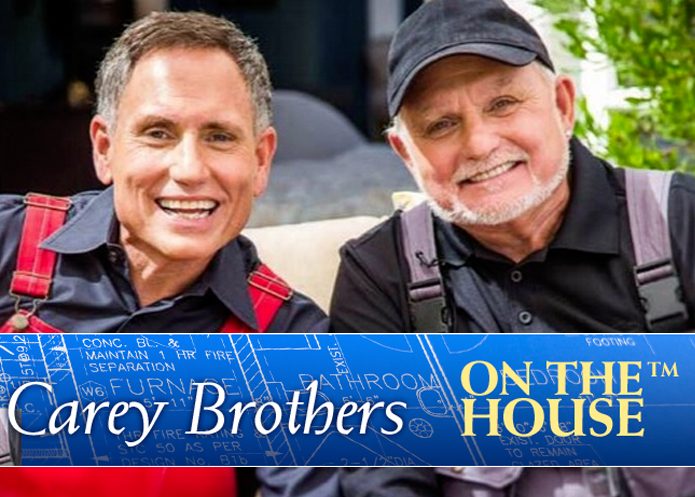 Besides their broadcast achievements, the Carey Bros. have been named toRemodeling magazine’s Hall of Fame “Big 50″ which recognizes top achievers in the industry and have been honored as one of the nation’s top 500 companies by Qualified Remodeler magazine. The brothers were the Founding Fathers of the first California chapter of the National Association of Remodeling Industry (NARI), with James serving as the chapter’s first president. Morris is married, has six children and seven grandchildren. He loves photography, watching vintage movies, traveling to out-of-the-way places and teaching the construction trade to young people looking to make a career in construction. James is married and has three children. James’ passion is gardening, golf and spending time with his family.